"Europe has to build an army," Wolfgang Clement wrote in this space yesterday. He's right! Given the global environment, Europe needs to improve its ability to act on behalf of its own security. But he unfortunately failed to mention the progress we Europeans have made in the last few years. Europe’s army is already taking shape. Reforms in recent past months and years have brought our armed forces closer together. We're working quickly. But let's not forget that achievements that are now taken for granted, such as the internal EU market or freedom of movement, didn't happen overnight. They came about thanks to careful, measured progress, and member states pursuing clear goals, one step after another. 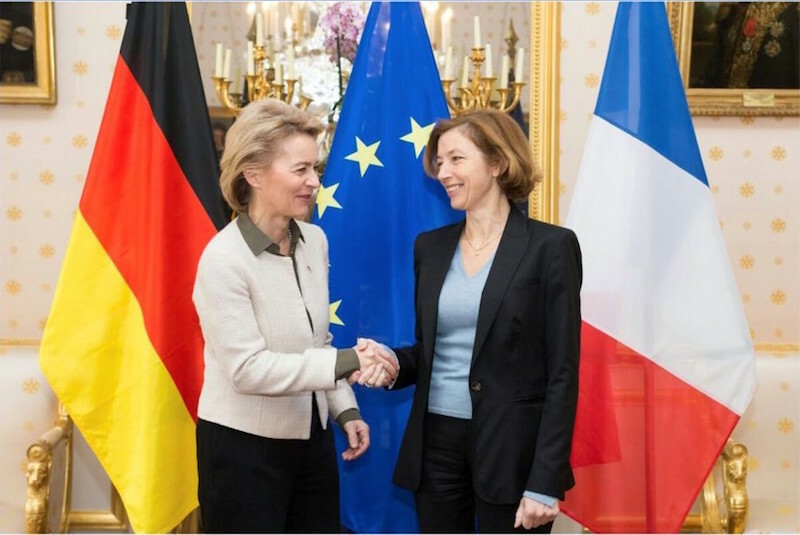 Among European nations, Germany and France are the driving forces in defense. But the German army's close cooperation with other European partners, especially with Dutch forces, has also proven effective in many missions, and illustrates how to do integration properly. Now 25 countries have joined forces in a security initiative we call Pesco. And not because we’re following requirements from Brussels, but voluntarily, because we see the obvious benefits, and because it’s in Europe’s security interests. We’re moving even further ahead with our close partner France. The draft of "the new Elysée Treaty", agreed by the cabinet yesterday, shows that in future we want to address our security challenges together. Our stated goal is for European nations to speak with a coordinated voice in the United Nations. Germany has just started a two-year stint as a non-permanent member alongside France on the UN Security Council. That strengthens Europe’s voice in the concert of world powers. Let’s note also that France and Germany, rivals and arch-enemies until 70 years ago, have now pledged mutual assistance and every conceivable kind of help to each other, in case of an armed attack on the territory on the partner country. That shows the potential Europe has to unify and to promote peace. It’s absolutely essential that we Europeans support one another. After all, other major and superpowers are determinedly pursuing their own interests and expanding their strategic influence around the world. Wolfgang Clement is wrong, however, in focussing primarily on the potential for quick money savings when it comes to military collaboration. The reality is that expanding our security capabilities first means increased and coordinated investment in equipment that is modern and mutually compatible. This initial funding will then lead to synergies and reduce procurement and operational costs, as well as enabling the joint training of soldiers and much-needed modernization. That’s why we need intelligent incentives for joint investment, such as those in the European Defense Fund. It would be counterproductive to scale back the involvement of Europe's national parliaments a time when Europe is struggling to earn new trust. Questions about the use of force are of such fundamental significance that they need the broadest legitimacy possible. Hence the decisive role of national parliaments, through their direct connection with citizens. It's no coincidence that the trend in Europe – and not just in the UK – is towards more democratic involvement, not less. Nonetheless, to prevent this from impeding Europe's ability to act, parliamentary participation has to accelerate. I have therefore proposed forming a special committee at the European level, composed of members of national parliaments, which is to be informed early on about crisis scenarios as they take shape. That could speed up decision-making processes at the national level, as well as strengthen support for any military action. We are making good progress. Despite Brexit, and the controversial debates we Europeans have among ourselves, Europe remains a unique creation, uniting half a billion citizens in the name of freedom and prosperity. This Europe must be able to defend itself.